One morning, a few weeks ago, I was standing on a bus weaving its way into the center of Belfast, Northern Ireland. It was crowded with people making their to work, or school or various tourist attractions. When I offered my seat to someone, a woman sitting nearby asked what part of Canada I was from. When I told her “Nova Scotia”, her friend said, “Ach, sure, you guessed right. 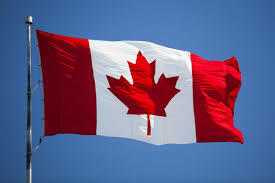 My ma always said when in doubt always assume they’re Canadian, that way you won’t insult anyone.” I have to tell you I was surprised by the smug satisfaction that came almost immediately to mind – she hadn’t mistaken me for an American! (my apologies to those present among us) Frankly, I was relieved that I didn’t have to correct anyone or explain anything about what’s been happening south of our border. And yet, while I am extremely proud of our Canadian Charter of Rights and Freedoms, of our welcome mat open to the world, of our cultural mosaic and of our official bilingualism, the smugness has waned somewhat. 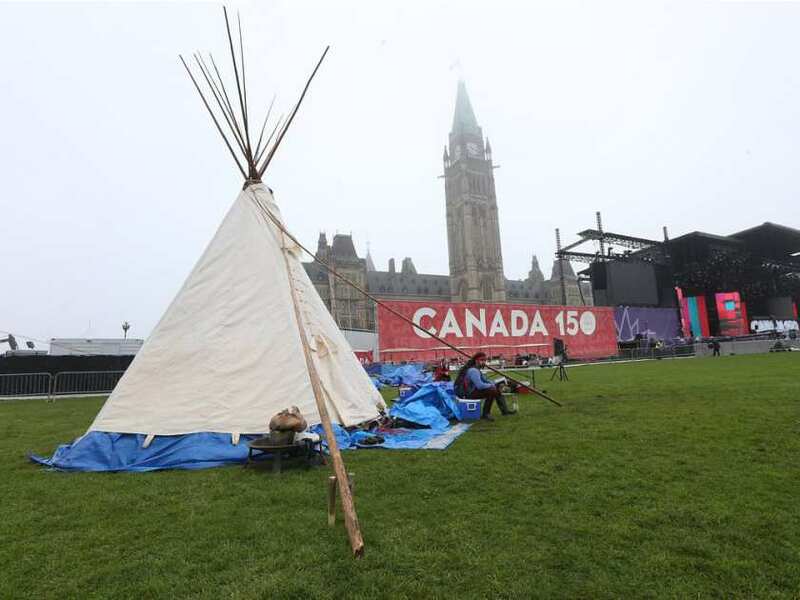 In the lead up to this 150th anniversary of Confederation, I’ve been increasingly un-settled, wondering what exactly it is that we are celebrating. Just as it is easy to find fault with others, it is equally easy to begin to think more highly of ourselves than we ought. Yes, we’ve come a long way but there is yet a longer way to go. And Jesus calls us to that longer way, to that greater love, to that laying down of our lives if necessary, to that kinship so necessary to the Kingdom. Her reference to “settlers” unsettles me. My family tree – and perhaps yours as well – is complicated, with its own mosaic qualities. I’m the daughter of a first generation Irish immigrant and a 5th generation re-settled Huguenot. There is rumour of a Metis connection to the Riel Rebellion there too. My discomfort stems largely from the realization of how little I know about our collective history. I was raised on – and loved – the romanticized stories of the voyageurs and their ceinture fléchée, running portages through the woods, carrying worldly goods from one body of water to another. And while I’m still attempting to fit those fragments into the bigger picture, I acknowledge the places I’ve yet to portage. 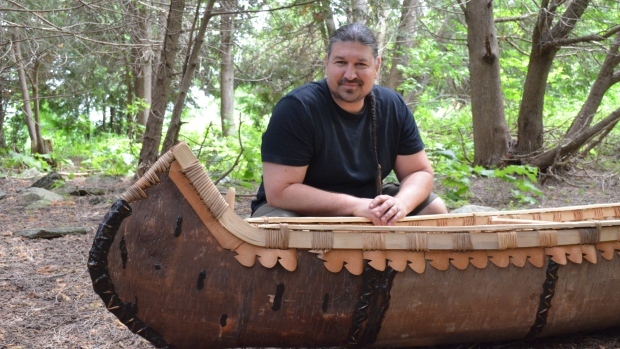 As a man of mixed ancestry, Pilon views the canoe as a metaphor for building relationships, and thinks of it as a powerful symbol for Canada going forward. St. Paul calls the Colossians to clothe themselves with compassion, kindness, humility, meekness, and patience; to bear with one another and, if anyone has a complaint against another, to forgive each other; just as we have been forgiven. He also admonishes them to clothe themselves with love, which binds everything together in perfect harmony. Jesus calls us to that place of portage where we carry one another. Human relationships are not perfect; in fact they can be downright messy. There is no “perfect union”. Yet Jesus continues to call us onward. Mosaics are made with broken pieces, fit together, shaped by the overall vision of the artist. We are indeed still in this canoe we call Canada. May the peace of Christ rule in our hearts, to which indeed we are called in the one body. This is so very true , & meaningful, & reading it brought tears to my eyes. This is so very true , & meaningful, thankyou!